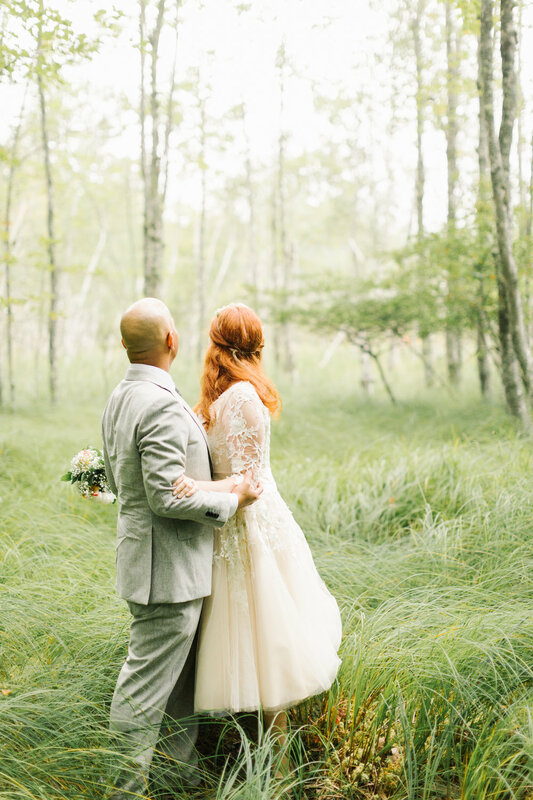 What better place to elope with your love than next to a waterfall nestled deep in Maine's Acadia National State Park? 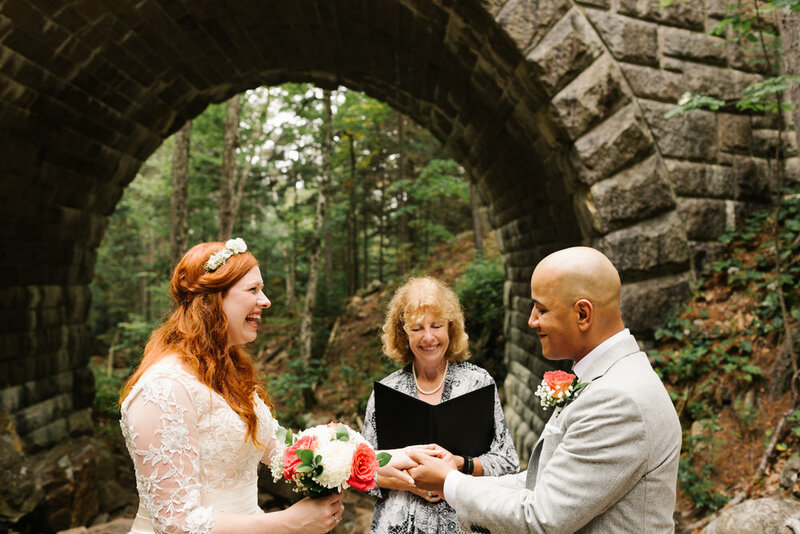 This September, Rachel and Dave packed their suitcases and beloved rescue dog Pippi into their car, drove away from the bustle of Chicago, and straight to Bar Harbor, Maine for their elopement. The couple exchanged vows witnessed only by their wedding photographer, my favorite photography pal Hilary Campbell who served as the second witness and Pippi-handler, and their officiant. After a sweet ceremony, the couple explored the park together and finished their day with champagne on a foggy beach. There's nothing quite like an intimate wedding day, free of distractions and surrounded by nature. Thanks for inviting me along to your beautiful elopement, Rachel and Dave!